Posted on February 17, 2015 by eliefares Tagged BatrounEconomyhigh techLebanonSilicon ValleyTripoli	Comments25 Comments on Lebanon To Have Its Very Own High-Tech “Silicon Valley” Soon? Lebanon To Have Its Very Own High-Tech “Silicon Valley” Soon? Back in 2012, I wrote about an economical boom coming my home district Batroun’s way (link). It promised great things for the caza and North Lebanon. Now, more than 2 years later, that project is going through the bureaucratic motions of Lebanese governance on its (hopeful) way for fulfillment. A parliamentary committee consisting of MPs Ibrahim Kanaan (Metn), Nadim el Jesr (Tripoli), Hekmat Dib (Baabda), Jean Ogassapian (Beirut), Neamtalah Abi Nasr (Keserwan), along with a representative of the Minister of Economy Alain Hakim, is studying the law required in order to make the zone a reality. The zone will be spread over an area of 200,000 m², donated by the Maronite Church in Batroun. The project was championed mainly two years ago by the Maronite League (الرابطة المارونية). The purpose of the Maronite League behind the project is to improve the economy of that region in order to prevent its people from moving to Beirut and its youth from emigrating. Certainly, even if unknowingly by the League, such a project’s benefits will not be exclusive to the people of Batroun or Maronites for that matter. Let’s hope they don’t mind. The feasibility study of Batroun’s economic zone indicates that there’s a possibility to generate over 5000 jobs. The companies that will operate in said area won’t be those of heavy industries akin to the ones present in nearby Shekka or Selaata; they will be high-tech industries similar to the ones operating in California’s Silicon Valley, which is where many Lebanese youth today are heading as career choices. Taxes will be reduced on companies to make their business more profitable. As is always the case in Lebanon, there’s big fat “HOWEVER” lurking in the background. It is not all awesome news. Is it ever? 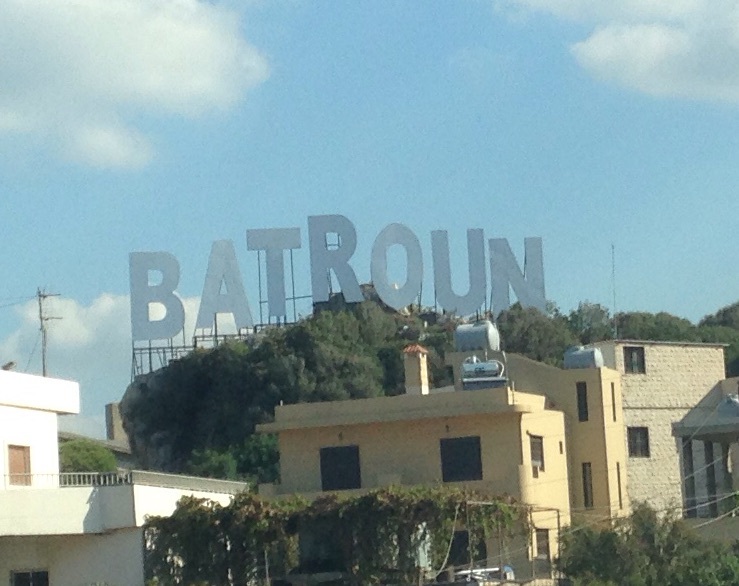 Batroun’s Silicon Valley-like area isn’t Lebanon’s first to be suggested. Back in 2004, late PM Rafic Hariri came up with an idea for a similar zone in Tripoli, and in August 2008 Lebanese parliament actually passed the law required to set such a zone in action. This is a copy of the law (link) if you’re interested. For the first time in years, Tripoli – and North Lebanon – were to have major development coming their way. Keep in mind that in 2008, Tripoli was not the war-torn city you all love to criticize today. It was, at the very least, much stabler than Beirut. In numbers, Tripoli’s zone was more impressive than Batroun’s. Its area was to be spread on 1,000,000 m² of reclaimed land facing the city’s port, of which 350,000 m² has already been done. At poverty rates ranging between 57 and 63%, Tripoli would have witnessed a tangible and drastic improvement in its economical state as well as the living standards of its people. The study of the area indicated the possibility of generating more than 6000 jobs. Couple that with Batroun’s numbers and North Lebanon, the country’s poorest and most forgotten mouhafazats, gets more than 11,000 new jobs for its market.When has it ever had such development take place? Never. Soon enough, the situation in Tripoli decompensated miserably into what things are today. The situation in the country as well wasn’t better. 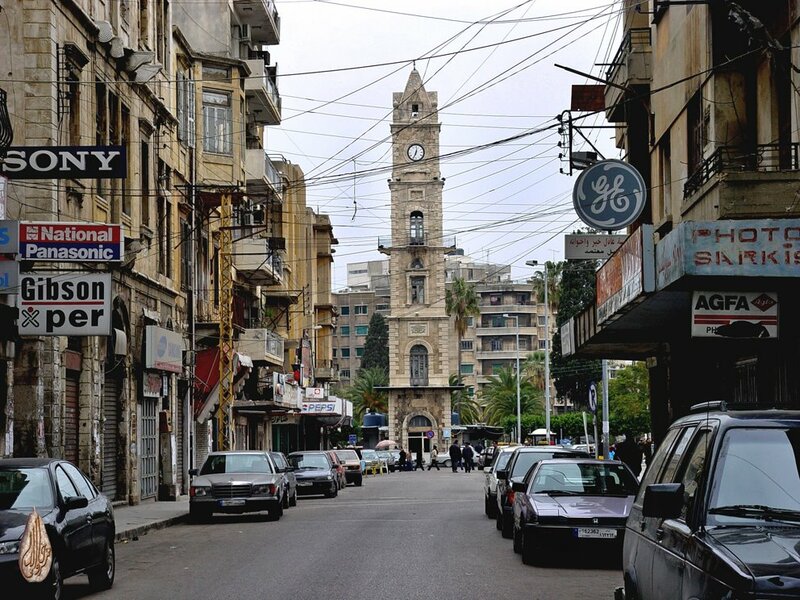 Tripoli was Lebanon’s battleground for the subsequent years. However, those two broad headlines weren’t the only reasons why Tripoli’s zone came to a standstill. Our government couldn’t appoint the committee that would oversee the project. As such, that massive economical development has been sitting on shelves for the past 7 years. Why wasn’t our government able to appoint the required committee? Because they haven’t found the appropriately backed people of appropriate sectarian backgrounds. Even getting decent jobs to the poor and unemployed in this country is a matter of religious calculations. Today, here’s what’s at stake. The country can remain as it is, with our youth leaving the country and ending up on best end-of-year lists (link) for doing things abroad that they could have done here. The status quo can remain. Excuses such as “Tripoli is too unstable” and “Batroun is too far” can be used to kill such projects in order to keep all the money flowing to Beirut and Mount Lebanon because only those matter. Tripoli can be kept poor, Batroun can be kept underdeveloped and North Lebanon can also easily be kept needy. The people can be kept jobless and uneducated. Let them stay hungry, let them stay foolish, let them forever remain prone to political manipulation. Or, infrastructure-issues notwithstanding, we can realize that such projects are a solution, not a symptom, and that it’s high time to realize that Lebanon is 10452 km², not only confined to Beirut, and that sectarian balances are second-rate when it comes to being part of a 20 trillion dollars economy (this is the number in zeros for magnitude: 20,000,000,000,000). Let’s hope those in charge realize the latter, and don’t succumb to the former. 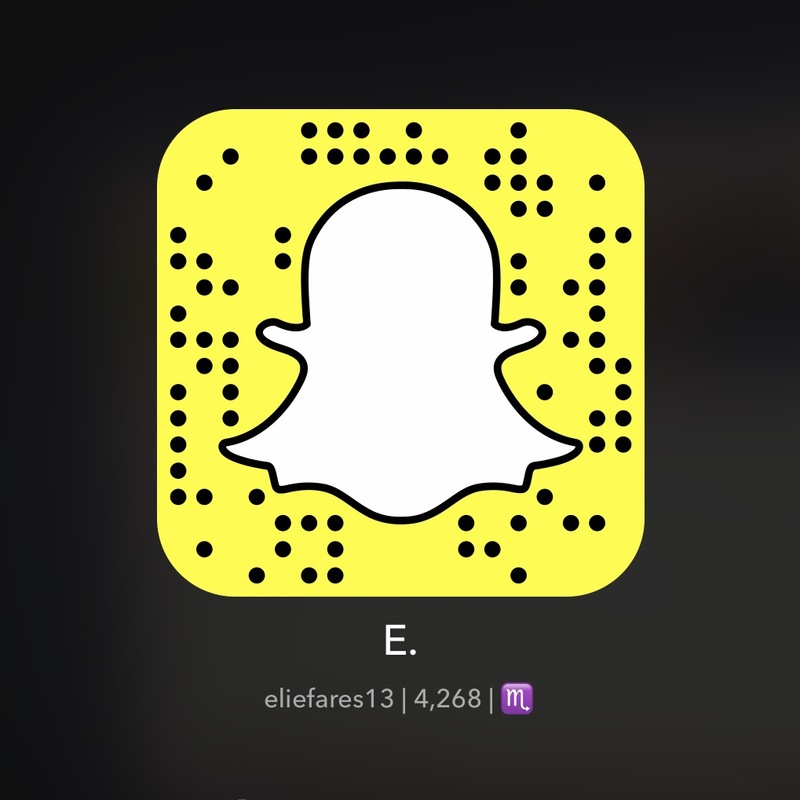 This entry was posted in Lebanon and tagged Batroun, Economy, high tech, Lebanon, Silicon Valley, Tripoli. Bookmark the permalink. We Hope…We want to Help …But we Need PEACE . It’s a cycle, not a line. Not until we find it in ourselves…..Silicon Valley? a double edged sword…. The areas in question need such development to help them overcome their issues. I think that you’re one of my favorite, objective, socioeconomic and political commentators that I’ve come across. Being Lebanese and currently located outside of Lebanon, I find it extremely difficult to follow the country’s news in an objective manner. Praise aside: I pray for peace, and a chance for our country to truly get back on its feet. Tourism is a fantastic industry, but, as with everything, its proven to be unsustainable. In our hope of encouraging tourism, we’ve actually compromised the nation’s identity time and time again. Real growth is reflected in a healthy economic, multiple industries, and education. It’s time for real growth. Thanks a lot for reading. I really appreciate it. I agree with your other point. The services sector has proven to be far too volatile for us to solely rely on it. the doc file opened in question marks.. could you send me a copy to my email? We already have something called the “Bekaa valley” and there are lots of space there. But I would not hold my breath for Batroun, Bekaa, or anywhere else in this (partly) beautiful country – too much uncertainty and too little vision. Maronite church proposes Batroun, Hariri proposes Triopoli. The day when they will all sit down and discuss the best place for this project in Lebanon, and not in their constituency, then there will be hope for it. But hey at least someone is trying something. According to studies linked in the other post you commented on, Tripoli is the country’s poorest and most needy area. The North, according to another study that I read but couldn’t find, is also the country’s poorest. I see no reason why such projects being done there should be done elsewhere. Perhaps. But at least there’s a plan for Batroun and Tripoli now so hopefully they go through with it in a way or another. This could help fix those things. agreed. We shouldn’t moan about where the project would go. That’s where the problem truly lies. I would be just as happy if this project were to materialize in the first place! I’d be in an uproar if this project were taking place in Beirut.